NBA Commissioner David Stern has officially retired after 30 years as the head of pro basketball in the USA. 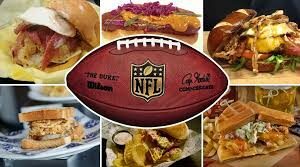 During his tenure as commissioner, the NBA has increased dramatically in world-wide popularity and currently enjoys the status of being one of the best run, most profitable professional sports leagues in the world. Before taking over as commissioner, Mr. Stern had worked with the NBA, first as outside council in 1966 and the in 1978 becoming the leagues General Council and eventually Executive Vice President in 1980. Among his other accomplishments is a Chair Emeritus of the Board of Trustees of Columbia University and also membership on the Council on Foreign Relations. Needless to say, David Stern will be sorely missed. 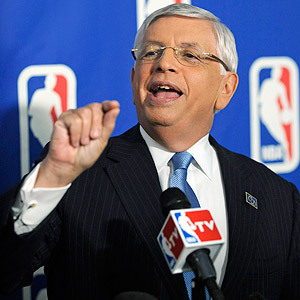 He could be pushy and he could be funny… but Mr. Stern was always a commissioner to be respected. To name a few of Stern’s more notable accomplishments; while he served as commissioner of the NBA there were 7 new NBA teams added to the league. They were the Hornets, the Timberwolves, the Heat, the Magic, the Grizzlies, the Raptors and the Bobcats. Six other NBA teams were relocated during his tenure. They were the Clippers, the Kings, the Grizzlies, the Nets, the Hornets and the Sonics. He was also in the commissioner’s office during four separate NBA lockouts which he and his staff successfully negotiated everyone back out of. One of his most famous recent exploits happened when Spurs head coach Gregg Popovich sat out his four top players for a game which aired on national television against the Miami Heat. The next day Mr. Stern fined the San Antonio basketball team $250,000 for what he called a “disservice to the league and the fans”. The new guy in the NBA commissioner’s chair will be Adam Silver who is actually not a new guy at all. He has been Stern’s right hand man since 2006 when he took over as deputy commissioner and chief operation officer of the NBA. The NBA Board of Governors unanimously selected Adam Silver to succeed David Stern as commissioner back in October 2012, so he has had time to get ready for the big job. After all, he is inheriting a $5 Billion a year business to run. So now David Stern is stepping out in style. Thirty years to the day after beginning his tenure as commissioner of the National Basketball Association. Adios Mr. Stern. Live long and prosper… and thank you!